Ten Essentials are shaping Asia’s success and the chance of future conflict. The Essentials drive diplomacy and strategy and are at the core of what’s a new system. They fall under three main headings; great power relationships (the G2), the emerging Asian structure and system, and the impact of current developments in Asia on the global structure. Picture this as the G2 sitting uneasily on top, the emerging Asian concert in the middle, and at the base, the strength of the US military and the set of bilateral alliances that have delivered so much for Asia for 60 years. The US alliances, however, are no longer enough, no matter how much effort Washington throws into its rebalance. The future Asian multilateral system will be built and run by Asia—and is as much about pride as it’s about power. The impact of the new Asian system on Australia is the view presented by the first sentence of the Australia in the Asian Century White Paper: ‘Asia’s rise is changing the world’. The conclusion the White Paper offers is equally inescapable: Australia will be transformed by Asia, so Australia must enter a new phase of deeper and broader engagement with Asia. History’s rendering of the Gillard government will give more prominence to the significance of the Asian Century White Paper as a statement of understanding and belonging than as a set of policy prescription. What will stand will be the embrace of Asia’s rise as the defining feature of the 21st century and its discussion of the profound implications for Australia. These are Australia Essentials as much as they are Asia Essentials. According to the nostrums of International Relations theory, all this is a total conceptual mess: bolting together an emerging G2, a nascent Asian concert and the existing base of the US alliance guarantees. 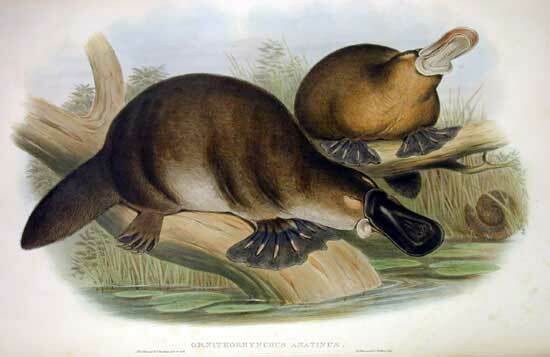 Like the platypus, the system being described couldn’t exist in theory, it just happens to have evolved into existence. The Essentials are what exists now and what’s coming into view. Such ambiguity bothers academics and analysts more that politicians and practitioners. For the politicians, ambiguity can be rendered in the positive light of flexibility. ‘Grand design’ sounds better but ‘ad hoc’ is how most hot issues get hosed down. Flexibility, of course, can translate as weakness in the ad hoc testing chamber, and large bits of the new system don’t carry much weight. No wonder Kevin Rudd is musing about the need to shift from a Pax Americana to a Pax Pacifica. Here are my ten Asia Essentials, which I’ll unpack in a series of posts over the next few weeks. China is the great question mark but its power isn’t in question. The US is still essential but may no longer be the definitive power. The US military guarantee is of such importance that any future peacetime threat to the existing formal and informal alliance system will come from the US itself, by what it demands or fails to deliver. An Asian-built multilateral security system for Asia will be run by Asians. Whisper it gently, but it looks like a concert of powers. The concert concept carries so much European history it is easier to speak of a new Asian system than a concert. For the first time in history, middle powers are seeking to construct and order a regional system. As always, the authority and ultimate choice is held by the big powers. But the formal machinery to run the system is to be operated by a group of middle powers in the form of ASEAN. The US has accepted Asia’s nascent efforts towards a new system. The US acknowledgement is basic because the concert is to be constructed atop the past stability delivered by US military primacy and the US’s future balancing role. Asia’s emerging system will use the East Asia Summit as its regional head and the G20 as its international expression. The concert is the sum of its weaknesses, not strengths. Because they can’t agree among themselves, China, India and Japan are content for ASEAN to run the institutions of the emerging Asian system. The system will be as useful for engaging India as China. India has choices but less room to move than it likes to think. The success or failure of Asia’s new order will be decisive for the global system. The Australian view of the 21st century is that Asia’s rise is changing the world, just as it will transform Australia.